** 5010 released as by the "Mighty Mustangs"
The El Torros originally began in 1951, using several different names and appearing at local clubs and events. After much practice, they continued the local appearances. They next added tenor Fred Green, who had previously been with the Mellards, another St. Louis group that had recorded for Ballad. They soon auditioned for the Ted Mack Amateur Hour. Interestingly, although they never appeared on the show, during the audition, Mack accidentall introduced them as the El Torros. They liked the name and kept it. 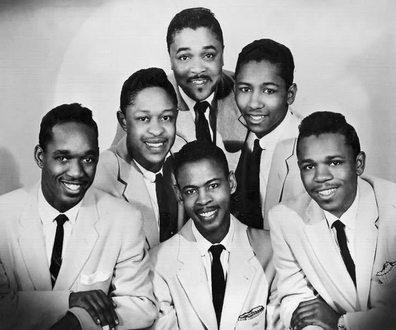 They continued to do live performances and in 1957 were spotted by Bobby Bland and Junior Parker. Bland and Parker were impressed enough to recommend them to Don Robey, owner of the label both were with at the time — Duke/Peacock. A session was scheduled for them in Chicago on April 1957. Don Robey attended and Yellow Hand/Dance with Me were recorded, along with two other tunes. 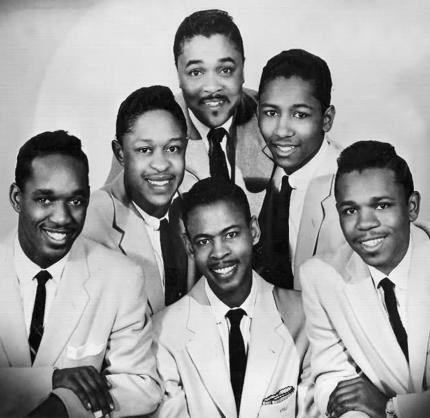 The former two tunes were released on Duke in June 1957 and met with little success. 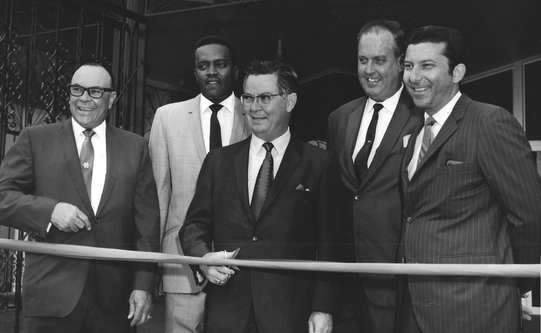 A second session took place in St. Louis in April 1958. Duke 194 was released in June and did not fare well. Because of its poor sales, it ultimately became the harder disc for collectors to find when the collecting hobby began. In 1959, Fred Green departed. He was replaced by Billy Davis, who later recorded with the Fifth Dimension. 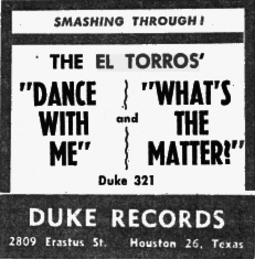 They recorded their final Duke release (353) in 1962 . Because of no sales of this last Duke recording, Davis left soon, followed by Lockett. As a result of the poor sales, in 1964 they changed their name to the Mustangs .At this point, they were: Odis Hearon, Johnny Stimage, Rhonda Washington, Billy Harper and Charles Calvin. They made two other recording for Robey, who released it on one of his other labels — Sure- Shot.